C&K College of Early Childhood is a respected Registered Training Organisation (RTO) that delivers qualifications for the early childhood sector. To make vocational qualifications more relevant to the workforce now and into the future, the college has focused on Certificate III and Diploma qualifications, and embedding high quality professional development (short courses) within our accredited qualifications. This enables students to graduate with industry regarded professional development credentials as well as a recognised qualification. Why Choose the C&K College of Early Childhood? C&K College of Early Childhood has a reputation for quality, and for creating career pathways into the early childhood education and care sector. 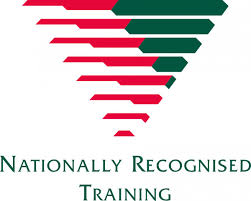 Our strength is provision of industry relevant training, assessment and vocational placement. Our graduates have employment outcomes that exceed many other providers. C&K College of Early Childhood is an approved Queensland Government pre-qualified supplier (PQS) of publicly funded training and assessment. The C&K College Help Desk will be closed weekends and Queensland Public holidays. The C&K College of Early Childhood is required to publish audit information in relation to our compliance with the Australian Quality Training Framework (AQTF). An AQTF audit reviews evidence of C&K’s compliance with the requirements of the AQTF Essential Conditions and Standards of Initial/Continuing Registration to confirm that we are achieving quality training and assessment outcomes. Click here to access the C&K College of Early Childhood audit information.